Humans cuddle to show their love for one another, or sometimes, just to get comfy. So you would think that's why animals cuddle too ... but it turns out, lions have a much more clever reason for snuggling up. In the lion world, it always helps to have allies - friends who will stick by your side and help protect you against other lions and the harsh elements of the wild. These relationships have to be built somehow, and that's where snuggling comes in. A 2013 study showed that lions nuzzled, snuggled up and licked each other in order to strengthen their relationships with other lions to build allies to help protect themselves. While humans might just grab a drink with someone you'd like to have on your side, lions get a little more intimate with their buddies. "We conducted behavioral observations on a captive group of lions composed of seven males and 14 females, and tested hypotheses regarding three social functions: tension reduction, social bonding, and social status expression," the study said. 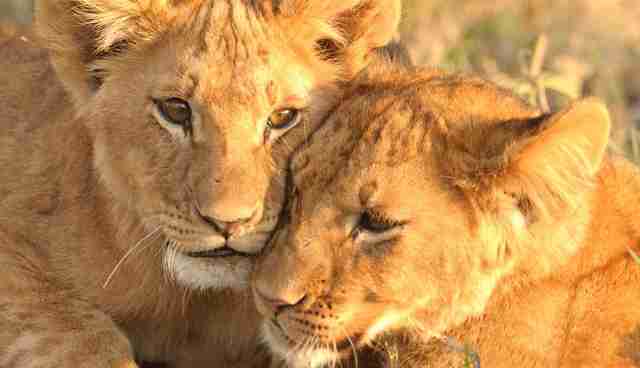 Due to the relationships of the lions in the study, the researchers were able to conclude that the lions weren't trying to display dominance, but rather affection that would lead to a bond that could benefit them later on. "These results indicate that its primary function is to maintain and strengthen social bonds between individuals," the study said. We use hugs and affection to strengthen bonds too, but for purely friendly or romantic reasons. For lions, it also has to do with survival and staying in good standing with the group. 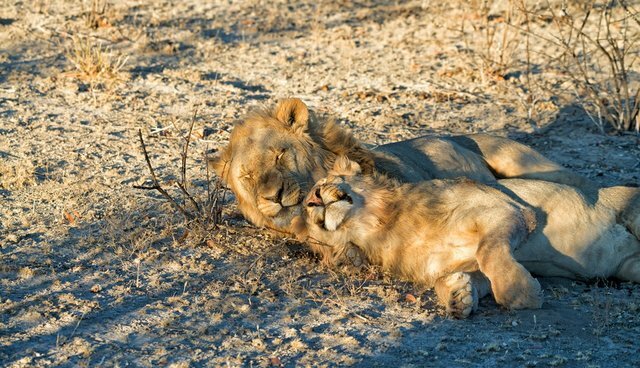 When lions cuddle, it's not so much compassionate or adorable - it's actually very strategic.